The 18 ESP Limited long arm quilter has stitch regulation, needle positioner, bobbin winder, adjustable handlebars, oil reservoir. Tin Lizzie 18 ESP Limited Long Arm Quilter With Falcon Frame. When you’re looking for sheer luxury in a quilting experience, this is the long arm for you. For discerning quilters who know quality, appreciate effortless performance and delight in rich features, ESP’s unique strengths, everyday refinement and usability presents the most powerful, precise and luxurious long arm on the market. The craftsmen, designers and engineers of the all new TinLizzie18 ESP Limited are completely dedicated to creating the world’s most magnificent quilting experience. With the renowned Lizzie Stitch and 3000 perfect stitches per minute, you’ll never outrun ESP Limited. Her meticulous performance and her exquisite features are matchless. Where Elegance, Sophistication and Precision align. The ALL NEW TinzLizzie18 ESP Limited offers quilters everything we just knew they were looking for in a long arm. When every stitch counts toward a memory, why choose anything less than the best? ESP’s state-of-the-art stitch regulation and our famous Lizzie Stitch, combined with an 18-inch throat, our new LCD monitor, 5-year warranty, adjustable handlebars, oil reservoir, built-in bobbin winder, largest capacity bobbin, and needle up/down all make the TinLizzie18 ESP Limited your best choice when considering a long arm quilter. With all of our included features and the highest quality on the market, no other company can match our machine at such an affordable price. The TinLizzie18 ESP mounts easily on the carriage deck of either the Phoenix or the Falcon frame, and glides smoothly for easy quilting. The Falcon frame is designed with home quilters in mind. A wood frame made of the highest quality and strength, it’s easy to assemble and expands up to 10 feet (120 inches). Phoenix is the frame specially designed for TinLizzie18 ESP Limited. The all steel frame is adjustable in height and stretches from six feet (72 inches) to king-size (144 inches). State-of-the-art Stitch Regulator & Lizzie Stitch. 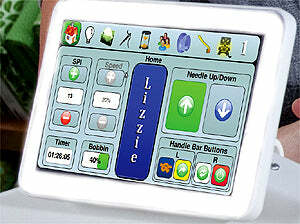 The TinLizzie18 ESP Limited model features a 7-inch LCD touch screen display. When you select any of the stitch modes, including the famous Lizzie Stitch, your machine coordinates with your movements: as you move the machine it sews, when you stop it stops with you. With stitch regulation so precise, allowing for even the finest micro-stippling, the new ESP Limited makes quilting elegant, sophisticated and precise. The TinLizzie18 ESP Limited has the ability to stop in the needle up or needle down position with exact precision, minimizing bent or broken needles and allowing free movement of the machine. Built-In Bobbin Winder With Large Bobbin. The TinLizzie18 ESP Limited offers a built-in bobbin winder that winds while you quilt, so your next bobbin is always full and ready. 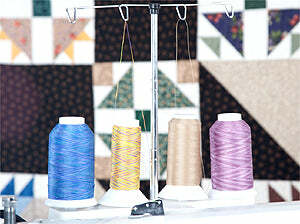 It also features the largest available bobbin capacity, the M-size bobbin. The handlebars are fully-adjustable to any position helping to ease tension and tired muscles, and make intricate quilting easier. Now that’s elegant, sophisticated and precise! Integration of Quilt Magician & ESP Stitch Regulator. 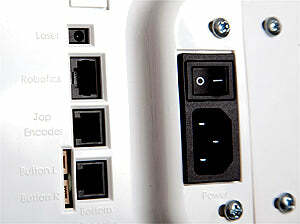 A seamless integration where technology meets computerized quilting: Simply attach the hardware, plug it in, and you have a fully-automated system. Simplicity at its best. The TinLizzie18 ESP Limited requires little maintenance. The oil is self-contained so you no longer have to worry about oil on your quilts or oiling the hook with every bobbin change. Tin Lizzie 18 ESP Limited Features & Options. Throat Space: 18 inches x 8 inches. Actual Quilting Area: 15 inches. Warranty: 5 years parts / 1 year labor. Professional Delivery, Setup & Training: Available through Dealer. Frame Included: Falcon Standard / Phoenix Optional. 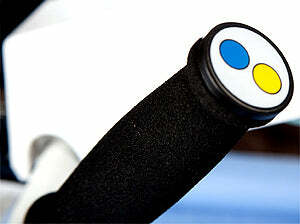 Specially Designed Vertical Wheels: Standard. Gear / Shaft Power Transfer: Gear Driven. Cast Aluminum Molded Sewing Head: Standard. Double-Capacity "M" Style Bobbin: Standard. Built in Bobbin Winder: Standard. Heavy-duty Top Shaft Bearings and Bushings: 3. LCD Touch Screen: Standard / 7 inches. State-of-the-art Stitch Regulation: Standard / Lizzie Stitch. Adjustable Walk Hopping Foot: Standard. Adjustable Height Hopping Foot: Standard. 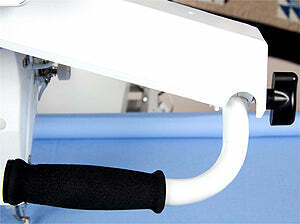 Two-station Needle Positioner w/Single Stitch: Standard. Micro Handles with Electronics: Standard. 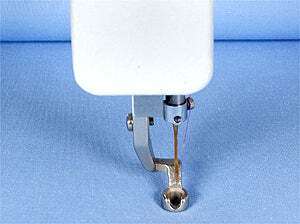 Velcro Attaching Cloth Leaders: Standard. Monitor Limited Edition Color: Special Order. 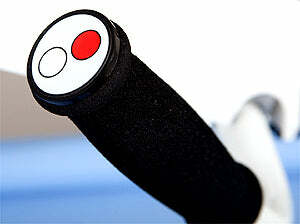 Operator’s Manual & Instructional DVD: Standard. Extension Table / Ruler Base: Available. Open Toe Stippling Foot: Available. Vertical & Horizontal Channel Locks: Available when equipped with Quilt Magician. Tin Lizzie 18 ESP Limited Delivery And Setup. Exclusive in-home delivery and setup from The TinLizzie18 Retail and Learning Center! Tin Lizzie 18 ESP Limited Information.